San Francisco, May 18, 2011 – At the 133rd Annual Meeting of the International Trademark Association (INTA) in San Francisco, DotAsia Organization announces the appointment of the ClearingHouse for Intellectual Property (“CHIP”) for managing the Sunrise process for Internationalized Domain Names (IDNs) in the “.Asia” Top-Level-Domain (TLD). CHIP is a revolutionary system and service that assists brand owners in managing rights protection mechanisms developed by domain name registries. The IDN Sunrise process is a priority registration period for brand owners to register and protect their brands with domain names (in Chinese, Japanese and Korean scripts) which correspond to their brands. By utilizing CHIP, brand owners can also register transliterations and variants of their brands in these scripts. As of May 18, 2011, domain name registrars can submit domain name applications through CHIP. The deadline for the .Asia IDN Sunrise for Chinese, Japanese and Korean is July 25, 2011. 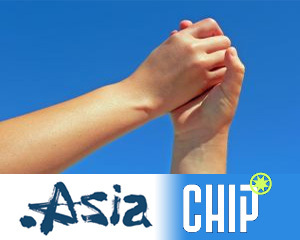 In addition, DotAsia is working closely with CHIP on new rights protection mechanisms that will be supported by the CHIP platform. The newest feature that is available for brand owners is a so-called trademark claims service. The ClearingHouse for Intellectual Property (“CHIP”) is a revolutionary system and service aimed at assisting brand owners in securing and safeguarding their trademark rights on the Internet, and more in particular in the domain name space. With several thousands of submitted trademarks , CHIP is the leading independent online repository for validated trademarks for domain name registries and registrars.